Yoga is answer as most children have become inactive and obsessed with TV, mobiles, gadgets. Children have high pressure on studies, school homework, tuition and hence spend very less time in games and out door activities. Most children suffer from weight loss or weight gain. Due to high competition nowadays in early age children get victim of pressure, stress and depression. Parents in urban areas have become busy and are not able to spend quality time with children. Family is going nuclear and hence children are getting lonely. Yoga program reduces kids' aggressive behavior, social withdrawal, and hyperactivity. 1.Physical Flexibility - Kids learn to use muscles in new techniques. Children are quick to adapt to yoga poses by standing, laying down, sitting and enjoy new ways building strong muscles. Child feels light and body becomes flexible. 2.Yoga builds body balance and coordination - Balance pose promotes mental and physical harmony. Helps maintain calm body posture. Cordination is also closely tied to balance and promotes overall body balance. 3.Yoga Develops Focus and Concentration - Children today have high distractions. Yoga helps them to clear the mind and improve focus and concentration. Children doing yoga also improve their memory and do well in both academics and sports. 4. Self-Esteem and Confidence - Yoga exercises helps children build strong self esteem and confidence. Breathing exercises and yoga poses instills lot of confidence. Yoga teaches patience and how to channelize energy. 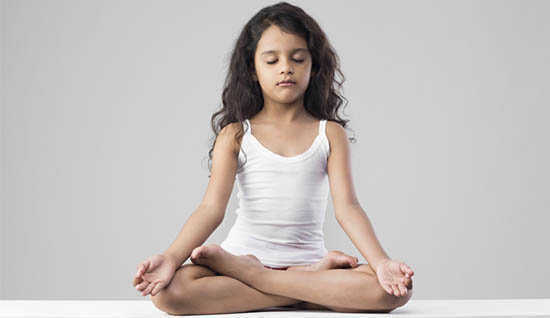 5.Yoga Strengthens the Mind-Body Connection - Yoga helps kids over come modern day challenges of pressure and competition. The exercises helps strengthens physical body and calming the mental spirit. Children learn art of relaxation and have complete control of body and mind.